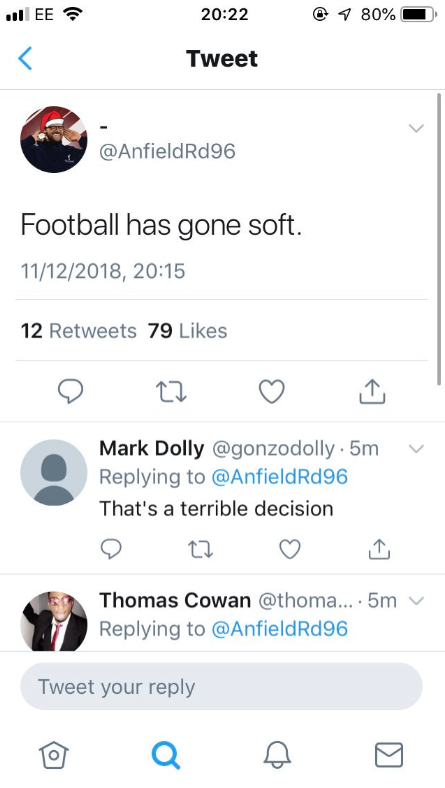 A Manchester United fan has posted a Tweet comparing Liverpool supporter’s reaction to fouls, and it makes for interesting reading. Last night, Liverpool secured a spot in the Champions League knockout draw after beating Napoli 1-0 at Anfield, but it wasn’t without controversy. 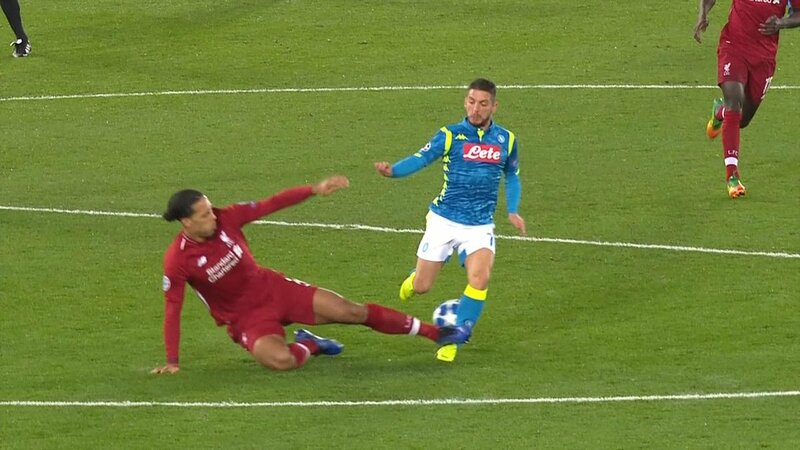 In the eyes of many, Virgil van Dijk was lucky to avoid a straight red card for his reckless foul on Dries Mertens. The match referee brandished a yellow card with social media erupting. Liverpool fans, of course, defended their Dutch defender with comments flooding in. However, the same fan was also disgusted about Sergio Ramos’ challenge on Mohamed Salah. 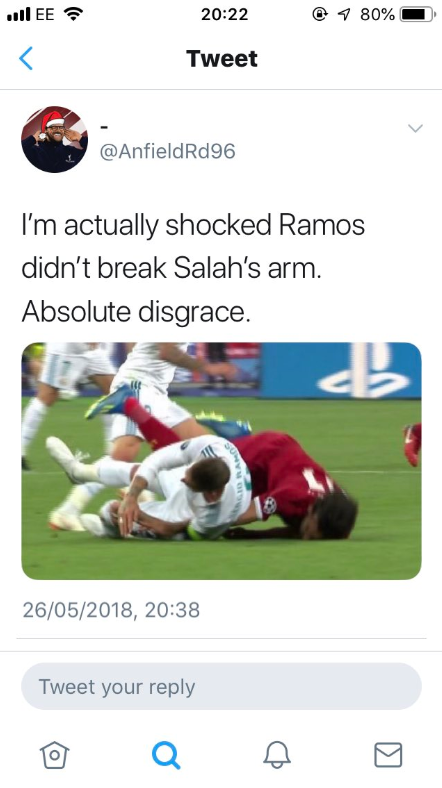 “I’m actually shocked Ramos didn’t break Salah’s arm. Absolute disgrace,” he posted. That Van Dijk challenge on Mertens. Not sure that the ‘but he got the ball first’ line works on this occasion. Lucky to get away with a yellow. van dijk nearly broke Mertens ankle but Liverpool fans wanted Ramos head for Salah injury, disgusting fans. Fair tackle? Or should he have received a red card?